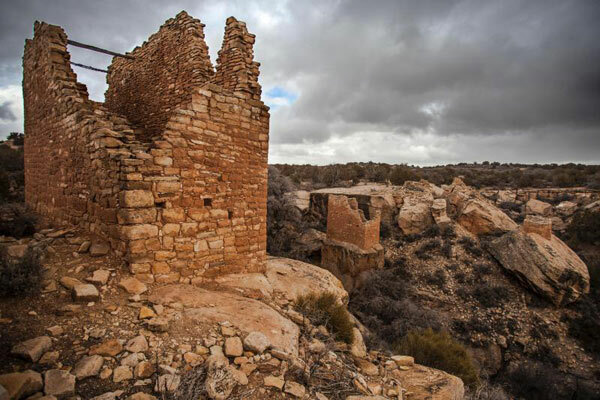 Initiated by the National Park Service, the discontiguous Hovenweep Archaeological District near Cortez was supported across state lines by the Colorado and Utah State Historic Preservation Offices. While Hovenweep National Monument was administratively listed in the National Register in October 1966, no documentation was created. The nomination is the first comprehensive documentation, justifying the district's national level of significance in the areas of Exploration/Settlement, Religion, Architecture, and Archaeology. The first period of significance spans from the Archaic through Ancestral Puebloan Pueblo III period (roughly 6,000 B.C. to A.D. 1290). The second period dates from 1874, when photographer William Henry Jackson first publicly used the term Hovenweep, to 1962, when the current boundary of the National Monument was established, thus ending the time when multiple groups used the land to raise livestock.